EpiPhotonics conducts full range of processes starting from device design, PZT and PLZT thin film wafer fabrication in its own clean room, packaging, and testing. 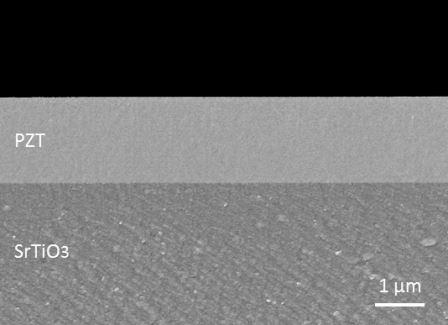 Thin film deposition: RTA, Sputtering, E-beam deposition, IBAD, etc. 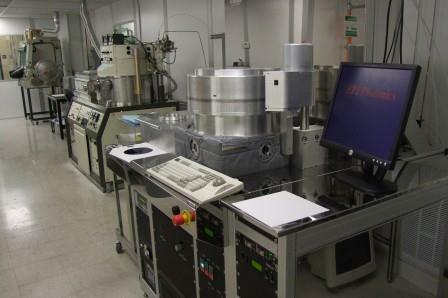 Microfabrication: Spinner, Aligner, Baking truck, Asher, Dry etcher, etc. Post wafer: Dicer, Polisher, Wire bonder, Fiber aligner, etc. Testing: Switching curve, IL, PDL, RL, WDL, etc..
EpiPhotonics is the expert of oxide thin-film technology including PZT/PLZT devices. EpiPhotonics provides high quality PZT and PLZT thin films based on its unique chemical solution deposition technology for photonics and piezoelectrics/MEMS, and microfbrication of PZT/PLZT thin films. 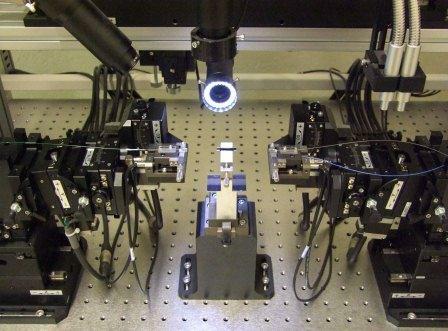 EpiPhotonics dices waveguide wafers and polishes waveguide end faces. 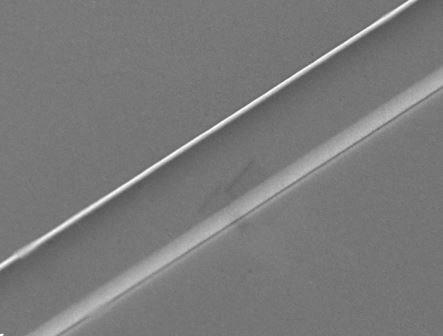 EpiPhotonics aligns and connects optical fibers to polished waveguides.